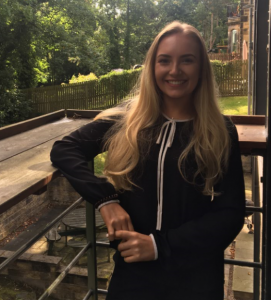 As apprenticeship popularity continues to grow across the UK, virtualDCS welcomes Megan Barnett to the team, where she’ll be completing a business administration course. This will be the fourth apprentice to join the company with others progressing into advanced roles within the group. In her new role, Megan will gain a variety of skills completing a number of tasks -from helping to further the company’s ISO accreditation and processes to product development. Apprenticeships are now one of the most popular pathways for students taking the next step in their career, with many of them choosing to ‘learn on the job’ as opposed to completing A-levels or a degree. From 2015-2016 there was a total of 904,800 apprentices employed within England alone, a huge increase from 871,000 the year before. These amazing statistics are only set to rise, as, by 2020, the government aims to grow the number to a total of 3 million yearly apprenticeships. virtualDCS is proud to be one of the organisations driving these opportunities forward. “As a company, we’re wholeheartedly behind the apprenticeship concept, it makes much more sense for us to have an employee learn while working and have a direct impact on the company from the start. It also gives us an opportunity to impart our knowledge, creating a new generation of cloud experts while shaping their skills in a way to benefit virtualDCS. “For me, picking an apprenticeship was a ‘no-brainer’ and it just made sense. I’ve always had a passion for business and I decided that rather than go to university and pay expensive tuition fees to study, I could actually go out there and live it. I wanted to complete an apprenticeship with a business that could help me grow personally and professionally, while also earning a wage. The team were looking for an exceptional candidate to fill the position, which is why they turned to QA, the market leader in apprenticeship placements. virtualDCS, one of the world’s oldest dedicated cloud providers offer quality cloud computing solutions to businesses across the globe. Our team works in partnership with clients to provide a unique and professional experience resulting in cloud solutions that exceed business expectations and reshape the way companies work for the better. QA Apprenticeships provide IT, tech and business apprenticeships. QA’s programmes blend high-quality training with online learning and real-world experience in the workplace. We design our programmes to teach meaningful skills that build long term careers – upskilling talent within businesses across the UK and kick starting young people’s careers. Our wide range of apprenticeships including degree programmes, and industry-recognised qualifications and accreditations from Microsoft, ILM and APM. Next: Next post: Do you have cloud superhero potential?